Communications is a science, an art, and a field of study, depending on the context. In simplest terms, communications is the means by which people express ideas or information. Communications is elevated to an art form by poets and authors of prose who seem to know just how to weave words together into a colorful fabric that can create images and even emotions in the mind of the reader. Communications is a science or assemblage of sciences that come together to create and apply the technologies that underlie the systems and networks that support the sending, transmission, switching and receiving of messages. If communications takes place across a distance, it becomes telecommunications. Completing the loop, communications is the means by which people express the ideas behind and otherwise convey information about the technology. That's where we can get into trouble. In business, including most especially the business of science, words must be chosen carefully to convey precise meaning. . .or not. As Mark Twain once said, "The difference between the almost right word and the right word is really a large matter-it's the difference between the lightning bug and the lightning." All of us who have been around long enough have both enjoyed the benefits of choosing the right words and paid the price for choosing the wrong ones. Now, it's not as though I haven't paid the price for having chosen the wrong words on occasion, but I have made a reasonably nice living over the past 20 years or so as a telecommunications consultant, lecturer, writer, columnist and author, all of which require excellent communications skills. As a lexicographer (i.e., writer of dictionaries) for approximately the last dozen years, I have developed a high level of respect and even an affinity for words and their precise meanings. I also do a fair amount of litigation support work as a consulting expert and testifying expert in telecommunications related lawsuits involving contract disputes, product/service misrepresentations, the Telephone Consumer Protection Act (TCPA) and intellectual property such as patents, trademarks and service marks. It is this work that has underscored for me, at least, the incredible value of the right word. Please allow me to illustrate the point. I recently was involved as a consulting expert in a contract dispute between an incumbent local exchange carrier (ILEC) and a public agency in which many millions of dollars hinged on the definition of the word line, which, of course, is not to be confused with trunk, channel, circuit, loop or path. I was able to provide my client with just the right words to clarify the matter for the ILEC, which apparently became confused about the terminology sometime over the preceding 133 years. A few years ago I was involved in a legal battle between Nextel Communications and Verizon Wireless over the use of the term push-to-talk (PTT). Nextel claimed that, through the unique use of the term in its advertising, it had essentially redefined a term that had been in continuous use since at least 1935, according to my research, and made push-to-talk its own. Nextel trademarked the term and then sued Verizon for misappropriating the mark. I was retained to support Verizon's position, which prevailed, but not before a lot of money had been spent on attorneys and experts. Over the past few years I have studied hundreds of patents, many of which are overly complicated and confusing almost beyond belief. As if it weren't tough enough to deal with technical terminology, patent writers seem to delight in increasing the degree of difficulty as they move back and forth between conversational and technical English. I can't begin to tell you the number of times I have had to opine on the differences between the definitions of circuit, line, loop, trunk and channel, each of which has multiple definitions sensitive to semantics and technical context. I have been called upon innumerable times to define digital and analog, and to draw comparisons between them. In times past, these definitional issues were argued before a judge and jury. In its Markman v. Westview Instruments, Inc. decision in 1996, however, the United States Supreme Court unanimously held that judges, rather than juries, should decide the meaning of terms used in patent claims. So, a great deal of effort and buckets of money now go into the process of claim construction, which is the legal art of translating the patent claim language into plain English. The attorneys for the plaintiffs and defendants, alike, prepare definitional arguments for presentation to a judge in what has become known as a Markman hearing. In fact, a case can easily (Hmmm, that may not be exactly the right word.) be won or lost depending on the rulings a judge makes with respect to the definitions of critical technical terms. This phase of the legal process often determines whether a plaintiff has a legal claim and whether the defendant infringed the patent. There are ways to limit your liability, of course. The same goes for protecting your intellectual property. Retaining the services of a good attorney would be a good start. The attorney may well retain the services of a consulting and testifying expert. That's where I come in. The original version of this article initially appeared in the August 2008 issue of Telecom Reseller, The Newspaper for Telecom Networks, for which Ray is the Technology Editor. Mr. Ray Horak is not an intellectual property attorney or any other form of attorney, for that matter. He is an independent telecommunications consultant, lecturer, writer, columnist and author who is internationally recognized for his ability to translate complex technical matter into plain-English, commonsense terms. His latest books are Telecommunications and Data Communications Handbook and Webster's New World Telecom Dictionary, both published by John Wiley & Sons (2007). See the dictionary, in particular, for multiple authoritative definitions of analog, digital, channel, circuit, line, loop, trunk and more than 4,600 other telecom terms. 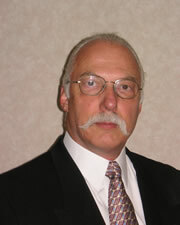 See Mr. Horak's; Profile on Experts.com.